Insulation monitoring | REPOS TECHNIK Ltd. Monitoring the status of ungrounded IT power systems is a precondition for ensuring system safety and continuous operation, as required, in particular, in the health sector and in the heavy industries. The insulation monitoring devices monitor the insulation condition of the IT system and inform the operators immediately about any insulation resistance decrease below the preselected Rcrit level (against the PE protective conductor). 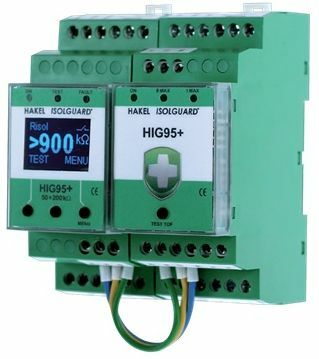 HAKEL ISOLGUARD HIG insulation monitoring devices are designed to minitor the insulation level of AC and DC IT power systems in accordance with EN 50 522, 61 936, 61557-8.